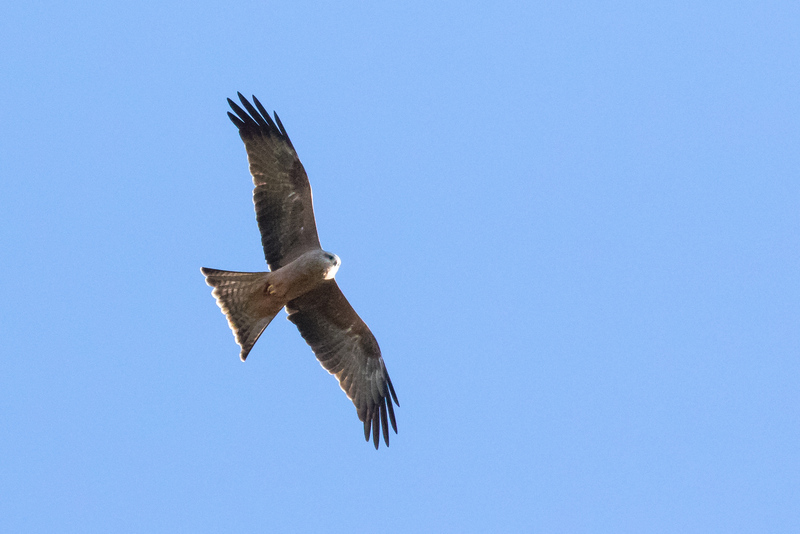 I spent about 2 hours this morning (Feb 14) searching in vain for the Black Kite at the usual spot on Waihopai Valley Rd. I finally gave up and went off to check for Black-fronted Dotterel at the Hwy 63 bridge over the Waihopai River. 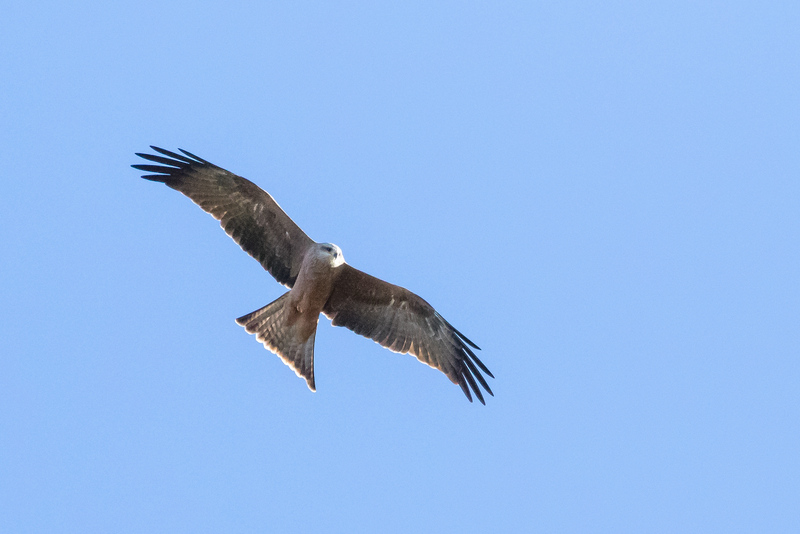 And came across the Kite soaring about south of 63 about 1 km west of Waihopai Valley Rd. No dotterels at the river which looks recently flooded. Saw the bird 342 Delta Lake Heights, Renwick, Marlborough, NZ (-41.528, 173.769), on Sat Feb 17, 2018 3:03 PM. Black kite in his usual area this morning. After a birdless hour I was driving off when I spotted him coming in the distance. Passed over the road then turned and returned to where he came from. Everywhere in the surrounding vineyards were gunshot type explosions, presumably to frighten off birds. I was driving up the Wairau valley on 28 May at 1100 and saw the kite soaring over SH63 a kilometre or so past the Waihopai turn off. At least it's not raining !! The bird was present in the usual spot this afternoon. Seen from Delta Lake Heights, where it flew over the road and I observed it interacting with its harrier neighbours. Has anyone seen the black kite this year? I've dipped on it on three separate visits, after having a 100% success rate previously. I hope it hasn't succumbed to old age . We spent an hour there on 22 Feb and did not see the bird. Mind you I spent an hour there in late Nov also and did not see the bird! I'm 1/5 since 2008 so there's still hope!